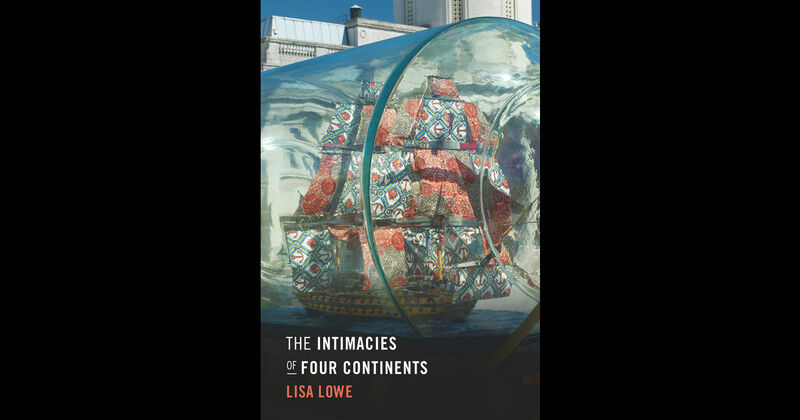 I’ve been thinking about Lisa Lowe’s idea of “intimacies,” which she explores in her The Intimacies of Four Continents: the emergent translocal exchanges and connections made between Africans, Asians, and Amerindians in the Americas. Given my own work on the role of the category religion in the regulation of colonized populations and the histories of peoples of Indian and African descent in the Americas, I am particularly interested in the intimacies of “religion,” the ways in which we can write the history of the category religion into the histories of such exchanges and connections. The category religion was used to create “intimacies” through the abstractions of high theory and strategies of colonial management, what David Chidester has called “the empire of religion.” The establishment of “secular” liberal freedoms involved the creation and evaluation of the relative humanity of peoples around the world, gauging eligibility for liberty, equality, and fraternity. The calculation of religion or its lack was one way in which the designation of full humanity could be affirmed or denied. Colonial theorists used the abstracting capacity of the category religion to bring together in intimate connection “primitive religions,” “fetishism,” or “superstition” from the colonized world. This allowed for generalizations about the practices of colonized populations and also for the exchange and application of colonial management programs and colonial personnel from one part of an empire in another. For instance, the colonial government in Trinidad attempted to use “personal law” from India to govern Indian indentured laborers in that country, but also attempted to apply policies for the definition and management of Indian “religion” to the practices of African Trinidadians as well. Colonization disrupted and reworked pre-colonial modes of life in favor of “modernity” and “mobility,” leading to the “freeing” of labor and creation of conditions for the “civilizing” and “modernizing” of colonized peoples. This set of processes involved colonial subjects getting “religion,” gradually adopting and adapting the distinction between the religious and the not-religious as a taken for granted way of dividing up the world. The appropriation of the land of indigenous peoples in the Americas (through dislocation and death by war and disease) made room, as it were, for plantations and the violent introduction of slaves from Africa, and then the importation of “free” indentured laborers from Asia. Colonized peoples, in various ways and to varying degrees, had to confect new lives with one another in emergent intimate exchange. The facilitation of the mass movement of people around the globe and their subsequent management was in part made possible through the application or withholding of the category “religion” across colonial lines. The colonial definition of “world religions,” driven by the engines of global capital, did not simply lead to “divide and rule,” but the contradictions between and incoherence within colonial ideology and management policies created and even enforced productive intimacies as well as divisions, the possibilities for new sorts of exchanges and social formation. In Caribbean colonies with Indian indentured laborers, often the only “Indian” holiday granted by colonial officials was Hosay or Muharram, which necessarily brought together people who would have been identified as Hindu, Muslim, and Christian, of both Indian and African descent, to commemorate the martyred Imams, weep over their deaths, have a party, and/or get high. When such practices were challenged by colonizers, practitioners mobilized the category religion (very much against colonial common sense) to authorize them as “religion,” a category which was protected under the guarantee of the freedom of religion and the promise of toleration in the British Empire. Or one could look at accused practitioners of obeah, what was understood to be Afro-Caribbean “black” magic, decidedly not religion for colonial officials. Such practitioners were engaging in practices that drew from across reified religious, racial, and disciplinary lines but they were fluently engaging in the discourse on religion to authorize their ritual work as belonging within the proper bounds of true religion (or, alternately, science). This back and forth making and unmaking of religion demonstrated the solidification of this category as a natural way of divvying up human life, but also the potential malleability of its boundaries. At the same time, colonized groups conceptualized these translocal connections and intimacies of colonial encounter, conflict, and exchange in various ways: reimagining and reworking, but also evincing the effects of, intraimperial forces, regimes of categorization, and forced migrations. These intimacies of colonial modernity involved the creation and recreation of novel religious and racial identifications. The Spiritual Baptists of Trinidad and St. Vincent in the twentieth century created, embodied, and identified with complex spirit lands that mapped the globe, connecting through spirit travel southeastern Caribbean practitioners with the spirit inhabitants of Africa, India, China, and the Middle East, all places from where forced, coerced, and colonized migrants had arrived in the Caribbean basin. Spiritualist conjurings of the colonized dead in drawing rooms in Rio de Janeiro, Chicago, or London allowed practitioners to embody and reproduce colonial stereotypes but also challenge them as they, in so doing, blurred the lines between races and religion, colonizer and colonized. We can see this also in the constraints and possibilities of individuals who would have been identified as of South Asian, African, and European descent in the Americas all identifying as “Hindoo,” either through claims to racial origin or spirit authority. In constructing “the Hindoo,” they were engaging in a shared popular orientalist project of the imagination of the “mystic East” to various ends, including attracting new clientele, evading the racist regime of the para-colonial US, or contesting charges of obeah in the Caribbean. The mapping of such intimacies allows us to examine the ways in which particular projects of social formation variously created the local and the global, conjuring (sometimes literally) translocal connections to authorize projects of colonial management but also often novel experiments in discourse and practice: temporary and changing intimacies between what were identified as racial and religious groups of colonized people that were frequently imagined to be discrete entities that could not and ought not to mix. The application and negotiation of the category religion—or, relatedly, witchcraft or science—was one mode through which such novel experiments in imagining globalities were either authorized or delegitimized. Alexander Rocklin is Visiting Assistant Professor in the Department of Religious Studies at Willamette University. He completed his PhD in the History of Religions at the University of Chicago. His research interests include colonialism and the politics of the category religion, religion and race, and histories of Hinduism, Islam, and Afro-Atlantic traditions in the Americas. His work has appeared in the Journal of the American Academy of Religion, Comparative Studies in Society and History, and the New West Indian Guide. This entry was posted in Theory & Religion Series and tagged Colonialism, David Chidester, empire, Intimacies, Lisa Lowe, Modernity. Bookmark the permalink.